Special events require special tickets. Sometimes you need that special ticket for your VIPs. Here are VIP passes. Large Size, Scintillating Colors, Huge Inventory, and Value! Remember all of our passes including our VIP passes have built-in security. Each ticket has a unique ID and bar code. In addition, we add security micro text on the back with the Ticket Printing logo. 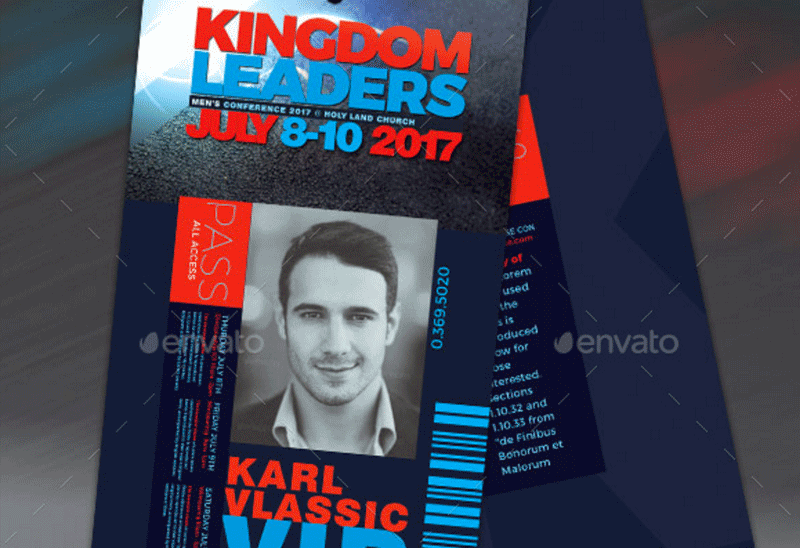 Cool backstage pass template with double image placeholders and 2 color bars for different passes (staff, VIP, etc). You can easily add more colors for any pass level. Replace images of your need. If need, position, move and rotate them per will, they won’t leave the space reserved by masks. There are also gradients that colorize photos blue, some curve layers for adding more contrast and an optional white border layer (on the top), that covers color bleeds and crop marks so you can print them yourself, with rounded edges. Here is a pass designed for events, recording artists, celebrations, concerts, etc. This file is easy to edit for a stunning presentation. The Templates.vip is customized for anyone that needs a modern design for their event pass. Treat your special guests to a classic scene with the Conference VIP Pass. This pass features individual numbering for ease of mind, with a beautiful background. Whether you’re hosting a conference, concert, or fundraiser, choose the right style for your event. Who is your VIP guest at your party? Give your special guests something unique to celebrate with the vintage VIP access. Cool lines in the golden and black frame your event on this throwback design. Add all your event details and VIP perks in the easy template below. 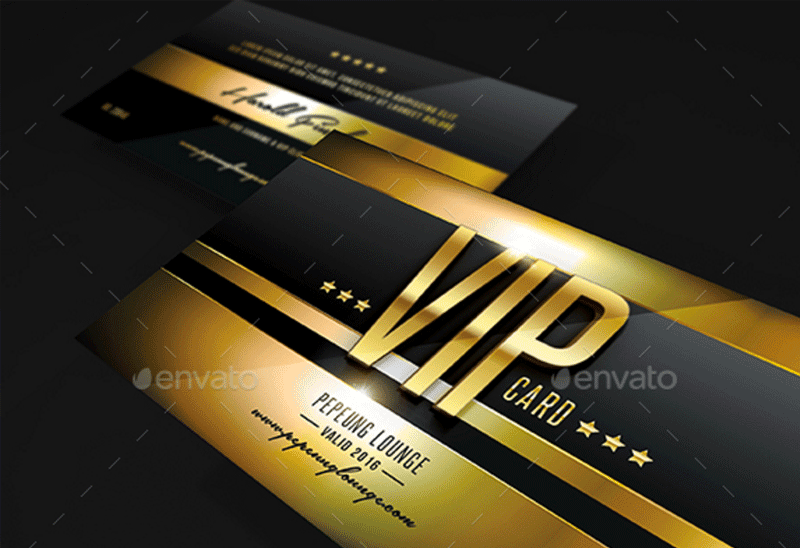 Multipurpose Colorful Vip Card Template for your Business, Company, Group, etc. Very easy to edit text and color. 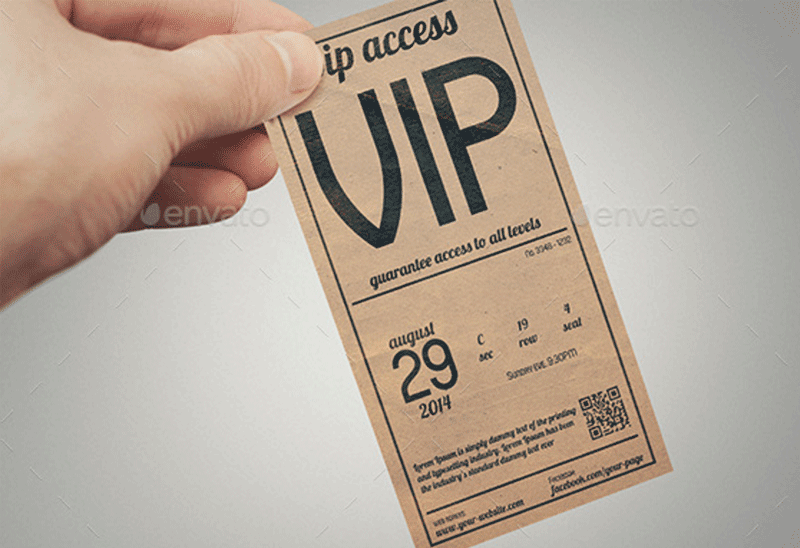 Give your VIPs the superior position when you print VIP Pass & Staff ID template for your next event. This Pass template has space to upload images, giving you the opportunity to include sponsor logos or pictures of your featured competitors. Also, features a blue background with bright text for all your event details. 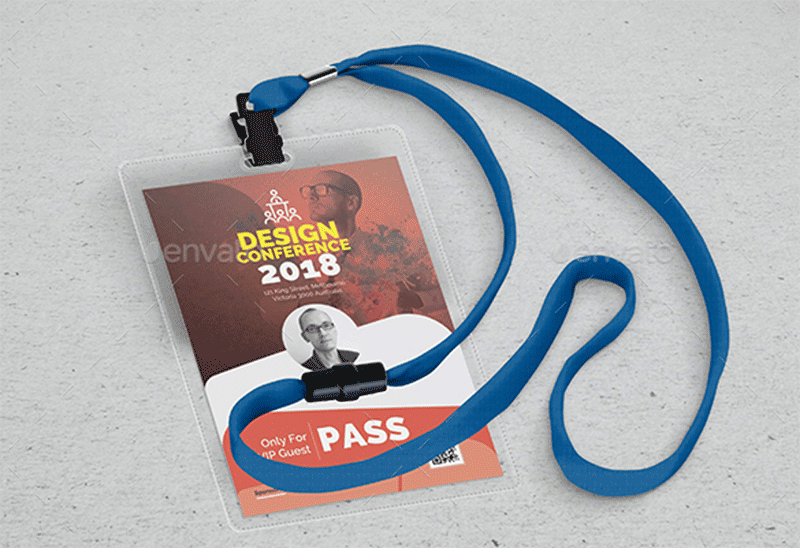 I have showcased a few VIP pass templates that are not only affordable but designed professionally and comes with smart objects. Smart objects will allow you to replace the default text and images with just a few mouse clicks. You will be able to ready to print these passes in no time with the help of smart objects. Please take some time out to look at each one of these pass templates and I am confident that you will find a great one for your project. At last, If you like this post, please share it with your friends and fellow graphic designers.